This great kit comes with what you need to make both hard and soft cheese. Two books give clear instructions and the rennet and cultures can be used for a number of production runs. 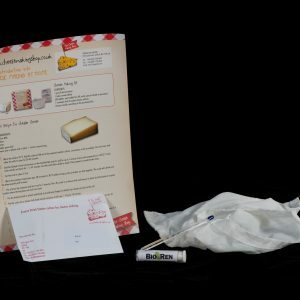 Hard and Soft Cheese Making Kit EXTRA. Making your own cheese is a great hobby! 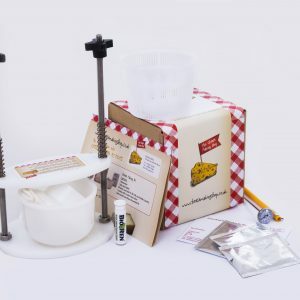 This great Hard and Soft Cheese Making Kit EXTRA comes with what you need to make both hard and soft cheese. 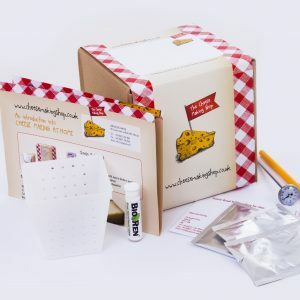 This is the ideal cheese making kit for beginners. Two books give clear instructions and the rennet and cultures can be used for a number of production runs. When they eventually run out, you can purchase fresh rennet and culture in our shop. 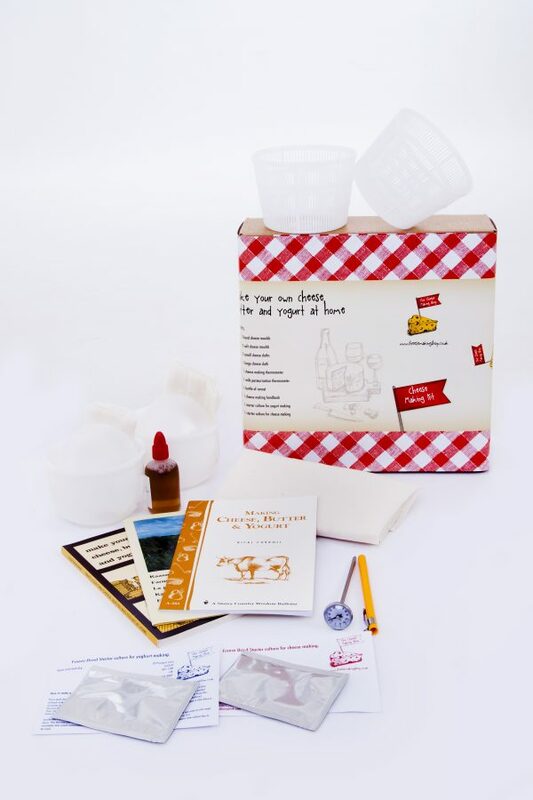 We have sold hundreds of these kits and many people are enjoying making their own cheese. You can always contact us with questions. 1 bottle calf rennet OR a bottle vegetarian rennet. Please indicate which one you prefer. Default is calf rennet. Please note that the press on sale in our shop is made to fit the hard cheese moulds in this set.